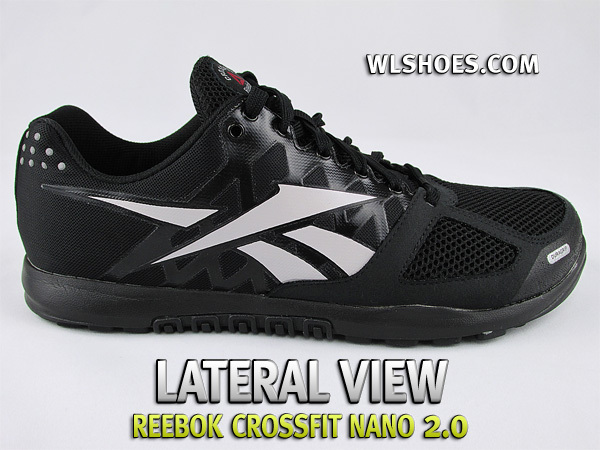 Today we’re taking a look at the Reebok Crossfit Nano 2 shoe. Given that we are currently in the thick of the Crossfit Games Open, with over 100,000 people competing worldwide and many more spectating, this is one HOT shoe right now. 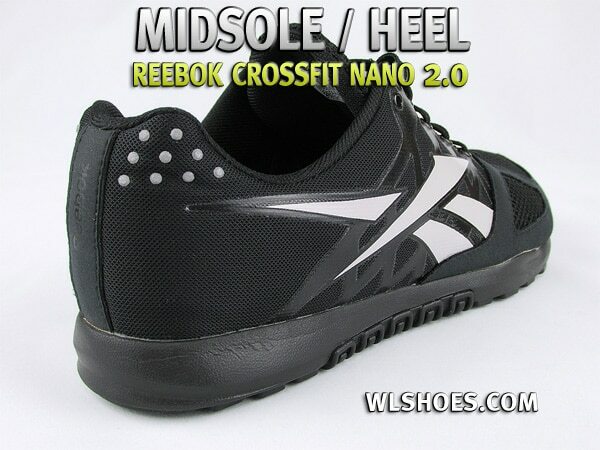 Plus, with Reebok now a major sponsor and 2 times games champ Rich Froning Jr. saying the Nano 2.0 is his choice for any Crossfit WOD, there is some major muscle behind these shoes. 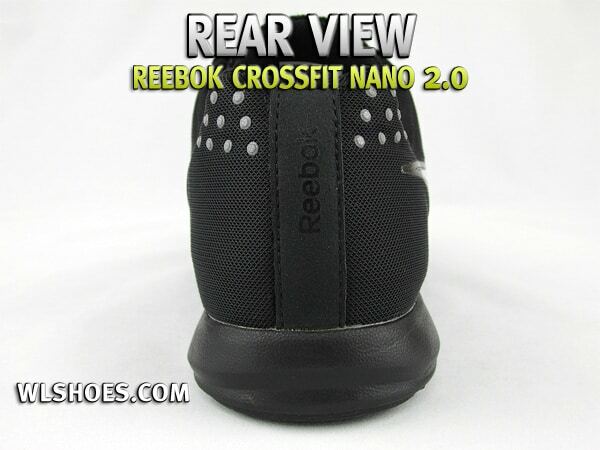 The Nano 2.0 pick up where the original U-form Nano left off, providing more of an evolution than a revolution. Just like the original Nano, this version ambitiously attempts to be the jack-of-all trades in the sport of the unknown and unknowable. Put simply, the purpose of these shoes is to be ready for anything. The first wave of CrossFit shoe fanatics gravitated to the minimalist shoe movement (myself included) and such favorites as the original NB Minimus Trail as well as specialist manufacturers like Inov8. Essentially these shoes aimed to give a back-to-basics experience for the wearer: as close to barefoot as possible. The benefits were agility, stability, and an all-round readiness for quick transitions between vastly-varied movements. 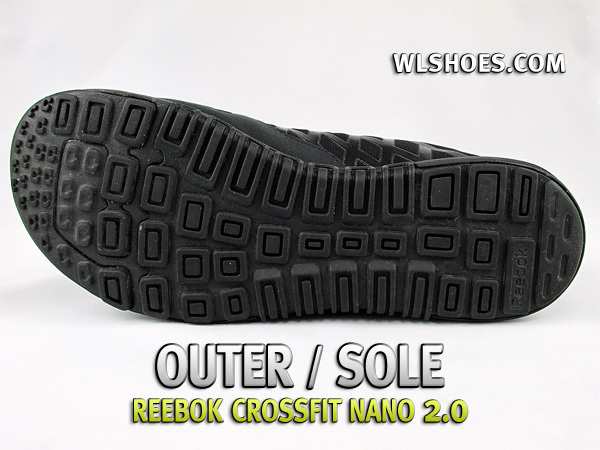 And now the CrossFit Nano 2.0 is aiming to move the game onwards. An obvious move in some ways – if CrossFitters are searching for the perfect shoe, why not try and give it to them?! Straight up the Nano 2 is a solid looking shoe, though it would never be mistaken for a minimalist model. The midsole features a 4mm drop, from 9mm to 5mm heel to toe. This is a bit more “material” under the foot than most minimalist shoes demonstrate, making this model more of an in-between trainer. It is obvious stability was high on the list of priorities for design with the shoe having an overall chunky look and feel, with a solid toe-box, relatively high lacing and a tall heel-cup. Another feature new to the 2.0 is the 3d Fuseframe construction on the lateral and medial sides of the upper. This creates the appearance of “webbing” on the sides of the shoe, but it is actually there to serve the purpose of providing additional side-to-side stability. One major difference in this model over the previous is Reebok’s departure from the U-Form insole. You likely won’t hear anyone complain since the UForm feature did little to shape the shoe in the original Nano; an opinion shared by a vast majority of those that owned the shoes. The lack of U-form could account for the lower price of the newer model as well – something no one will complain about either! The sole is, again, of particular interest as it has quite a technical approach. The front section under the toes has a definite break from the tough rubber, aiming to give flexibility for movements like burpees where the toe-box needs to bend significantly. It also exposes the softer EVA midsole material and allows for more compression at the point of impact on the forefoot. The rest of the sole is a solid, flat, grippy rubber aimed at ultimate stability for weighted movements and heavy landings. A feature that was pioneering in the original Nano and carried over to the 2.0 model is a rope guard across the middle of the foot. Previous CrossFit favorites, the Inov8 195s, notoriously shredded under the pressure of a rope ascent, and Reebok has taken this into account. The edges of the hard sole wrap over the softer mid-sole in distinct ridges offering both grip and a hard-wearing surface for these tricky climbs. In keeping with the solid, chunky style of the shoe the toe-box is quite roomy, and this together with the solid lacing, high heel-cup and chunky sole give the shoe a distinctly cross-trainer type of vibe. The upper is a typical mesh with rubber “DuraGrip” capping on the toe for durability (again with burpees in mind) and they have done well to eliminate any harsh seams or joints so the shoe feels great on the foot. The insole is particularly plush, making it a very comfortable shoe underfoot despite the very flat and solid sole. Finally, the shoe is available in a myriad of colors that are constantly updated. Reebok gives the customer the ultimate choice in styling with a special section of their site allowing you to fully customize your shoe with colors, graphics and even embroidered lettering. In terms of fit, I found these to run just a touch big – and I do mean a just a touch. If you are usually between an 8.5 and 9 as I am, go with the 8.5. The 9 fit fine for normal wear, but once you start dynamically I could feel my feet sliding back and forth some so I had to put on thicker socks. With that said, the wide toe-box suits my Flintstone feet well, but some may find the shoe a little large or clunky. While the toe-box at its widest is similar to the NB MX20v2, it remains broader right up to the front, lacking the taper normally seen in a more running-based shoe. It’s definitely at the other end of the spectrum from the super-narrow Inov8s. The heel cup has a nice and rigid support system integrated into the lower half of the upper where the sole attaches. This provides increased support for the ball of the foot and helps prevent ankle injuries. The foot-bed itself is fairly flat with little arch support, but the midsole narrows nicely at the arch of the foot providing some outer arch support from the upper material and the FuseFrame webbing. The overall feel is one of stability and all-round ability. It really does feel ready for anything. But being a jack of all trades means the shoe doesn’t really stand out as a high-performer in any particular discipline. To be honest, I don’t find it a great shoe to run in. Nothing particularly wrong with it, but it’s not light by any means and the thick sole with cushy in-sole means there is little-to-no feedback. I found a definite tendency to slap and just never really settled into a good rhythm. If I know there is a lot of running in a WOD, these would not be my first choice. That said, they are designed for a sport which tends to have short, intense bursts of running and they are quite adequate for this. All other uses stack up well. The stiff sole does move nicely at its flex point under the toe giving unexpected agility, though the exposed midsole point can get a touch slippery on gym floors if you catch it in the wrong spot. It’s not a big deal but can be a bit of a surprise given the rest of the sole is so grippy. Where these shoes shine is when stability is required in things like Olympic lifts. They’re not proper lifting shoes but are the next best thing in my opinion – flat, stable and dependable. If your workout keeps you indoors and calls for quick transitions between multiple movements, these are a solid choice for the days footwear. This brings us to an interesting dilemma: The Reebok Oly shoes are also very well suited for movements like burpees, box jumps, jumping rope and general lifting. It can be a hard choice between the those and the Nano2 in a varied workout. Wearing the Oly shoes sacrifices a small margin in agility for big gains in lifting stability while wearing the Nanos brings excellent agility and a still solid base. In the end your choice will be decided by the types of movements included in your WOD. Hopefully you have coaches that program their workouts intelligently enough to allow a distinction between lifting WODs with light agility movements and heavy movement days. So are these shoes the perfect all-rounders, or a jack-of-all-trades, but master of none? Well who am I to argue with Rich Froning and the best athletes in the world who swear by them?! If you can take only one shoe and need to be ready for anything I can certainly recommend the Reeboks. They get solid use in my rotation, but are not my default choice. I love the stability but do find them a little too chunky in some situations. But I have a caveat here. Despite the above lukewarm recommendation, these shoes excel as trainers for people doing workouts OTHER than CrossFit. How many times have you been to a “globogym” and witnessed people squatting in Nike Air Shox or some other completely inappropriate footwear? For those people, the Nano2.0 is the PERFECT shoe. Also, I found this shoe is perfect for the role of a CrossFit coach (there’s just something not so cool about wandering around in Oly shoes all night). As a coach you may end up working with people or demonstrating movements in ways that are far more varied than if you were just working out yourself. These are definitely a comfortable pair of shoes to get around in. 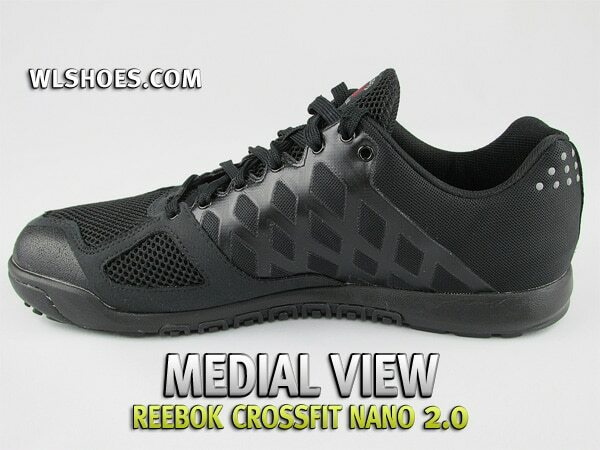 In this role they are hard to beat, so maybe Reebok has made the ultimate professional’s CrossFit shoe! Overall these are very competent shoes. They are hugely popular amongst fairly new CrossFitters at any box, and if you don’t have as extensive a shoe collection as me, then they make a great all-rounder. Even the seemingly gimmicky rope guard is quite effective and it is genuinely impressive how much Reebok has managed to pack into one shoe. I usually prefer buying shoes directly from the manufacturer and the Nano 2 is no different. Buying direct usually results in faster shipping and easier (and cheaper) returns or exchanges if they are needed. 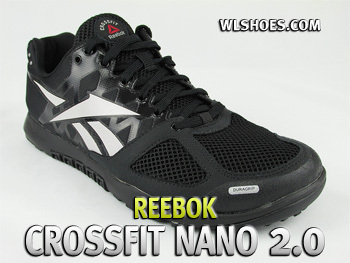 With that in mind I recommend purchasing these online at Reebok.com or ShopCrossfitReebok.com. Keep in mind that if you want to customize your shoes you’ll need to order through Reebok.com directly. How do these compare to the original nano’s? Prefer one over the other for lifting? I think I’ve covered this in the review. 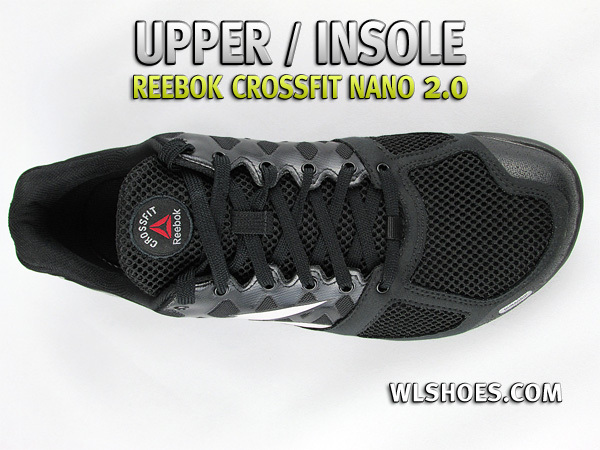 The sole is pretty much the same so lifting is about the same, the upper is redesigned and feels better than the original Nano.